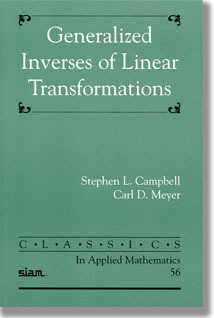 This edition is number CL56 in the SIAM series CLASSICS in Applied Mathematics. Dover Publications in 1991 (ISBN 0-486-66693-X). What kind of answer does the Moore-Penrose inverse produce? Why use the Moore-Penrose inverse?